My sweet Emily used my Stampin' Up! supplies to make Mothers Day special for me! 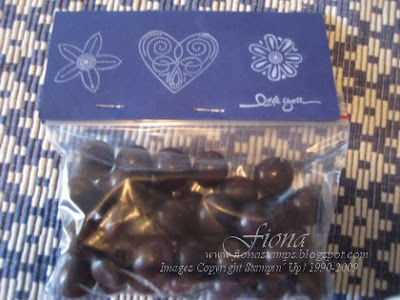 and a header for a bag of Dark Chocolate Hazelnuts, also using the Polka Dot Punches set. 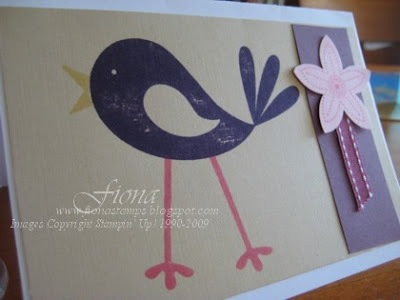 I love the colours she chose for the bird, ones I would never have thought to use, but they work well. The neutral background is also very classy. Well done Emily, I love you too!